To order a genuine "Desert Storm" photographic enlargement you can do the following. Click on the photo adjacent and drag it onto your desktop. You can then print it and either fax or post it as specified on the order form. Please remember to add postage. 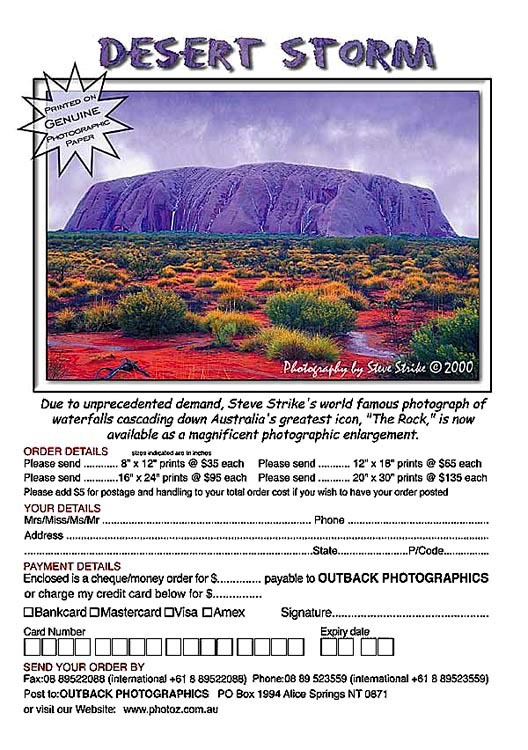 International postage costs are by quotation only. Please specify your country and we will email you the correct amount. Framing is also available on request. Please email or fax your requirements.